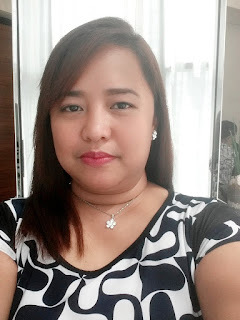 Being in a country near the globe's equator, it is but natural for Filipinos to devise of ways to beat the summer heat. One of these ways is through cool concoctions that also satisfy the cravings of the tummy. 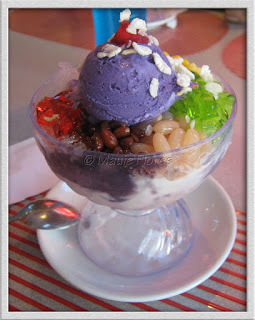 For PhotoHunt this week, I am posting a picture of the "to-die-for" Halo-halo that we had from Bigg's Diner while on vacation in Naga City. The purple topping is ube-flavored (taro) ice cream. Another way of beating this awful summer heat is by going up to Baguio City where the mountain air is crisp and cooler. The cool weather attributes to the growth of bright and beautiful flowers. 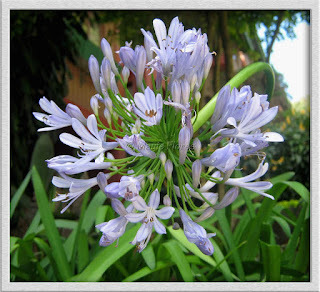 The purple flower below is grown on a flower patch in front of the flat where we stayed in Baguio City.